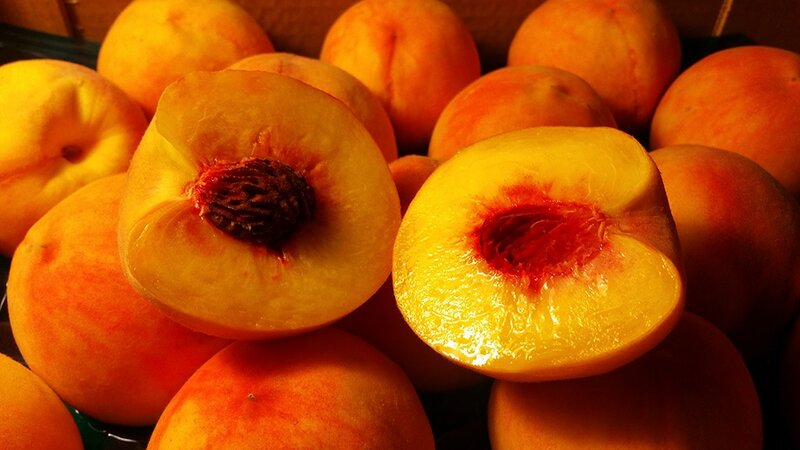 Wonderfully delicious peaches are low in calories (100 g just provide 39 calories) and contain no saturated fats. Nonetheless, they are packed with numerous health promoting compounds, minerals and vitamins.Fresh peaches are a moderate source of antioxidant, vitamin C. Vitamin-C has anti-oxidant effects and is required for connective tissue synthesis in the body. Consumption of foods rich in vitamin C helps the body develop resistance against infectious agents, and help scavenges harmful free radicals.